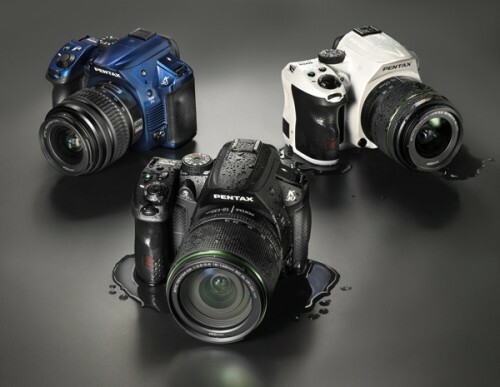 ePHOTOzine has reviewed the new 24.3 megapixel Nikon D3200 Digital SLR – it features an APS-C sized CMOS sensor with 24.3 megapixels, full HD video recording, new built in guide mode, 4fps continuous shooting, 3inch screen, Wi-Fi optional accessory, ISO100 to 12800, and it’s available in black or red with an 18-55mm VR kit lens for £611. The new Nokia PureView 808 features a large 41 megapixel sensor, Carl Zeiss Tessar f/2.4 lens equivalent to 26/28mm depending on whether you’re shooting in 16:9 or 4:3 aspect ratio, and a large 4inch screen, 16GB ram, MicroSD slot for expansion and HDMI out. 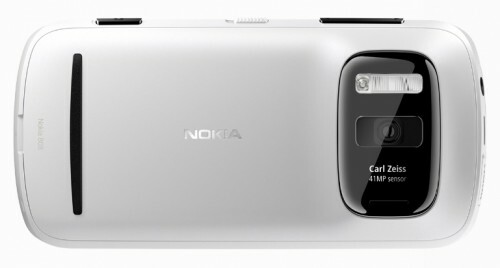 The camera phone is Nokia’s first product to include PureView technology, and this means when shooting 5 megapixel images you can use 3x zoom without any loss in image quality. When recording Full HD video you can also zoom in 4x. ePHOTOzine has posted full size sample photos using the different modes available, including ISO samples from ISO50 to ISO1600. 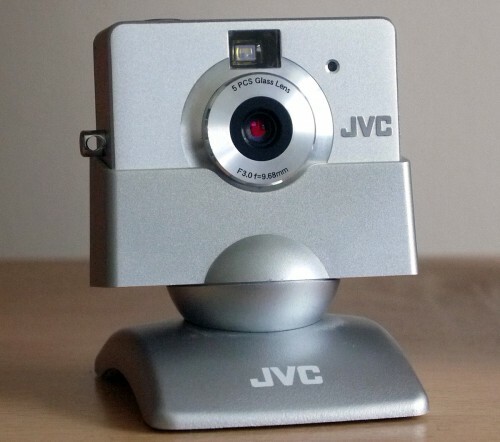 A stylish compact camera from 2003, the JVC GC-A50 with a huge 1.3 megapixel sensor, 5PCS glass lens, optical viewfinder and it even comes with a stand so you can use it as a webcam. It takes one AA battery, has 8mb of built in memory and on the back an LCD screen showing you the mode and remaining shots. A bit like film, you have to wait before you get to see the photos and the camera has just three buttons, one shutter button, one power button and one menu button. On the side is the USB socket and battery cover. The camera seems to be partially made of metal with the front of the camera feeling like it’s constructed with stylish silver metal, and the camera comes in a rather stylish black box, which is much more stylish than what many cameras now come in. It’s a shame that JVC don’t make small stylish digital cameras anymore, as anything unique in the market is generally welcomed with open arms. If you are keen, then you sometimes find them on ebay for around £5, but it’s pretty rare. Click more below for more pictures. 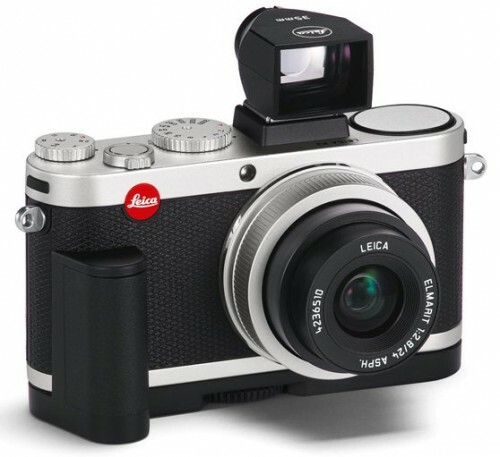 Leica M Monochrom: Digital Rangefinder with 18 megapixel BLACK AND WHITE full frame sensor. Around £6k body only, a Leica lens starts at around £1000 for a 50mm f/2.5. Leica X2: (Shown above) Compact camera with 24mm f/2.8 lens, new 16 megapixel APS-C sized sensor, manual controls, oh and it does colour as well. Around £1575 in silver or black. Leica V-Lux 40: 20x optical zoom lens travel zoom with GPS, 14.1 megapixel sensor and 3 inch touch screen, it’s based on the Panasonic Lumix TZ30 (read a review here). Around £550. 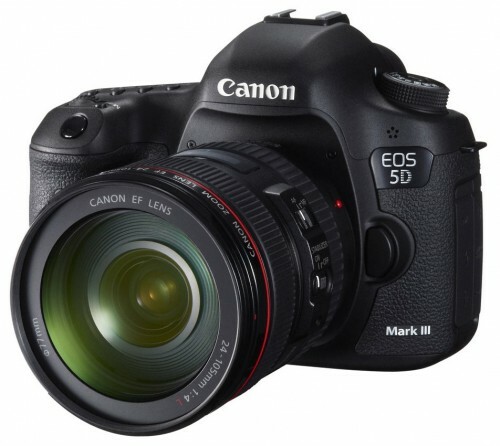 The Canon EOS 5D Mark III is the latest full frame Digital SLR from Canon, and features a 22.3 megapixel CMOS sensor, 6fps continuous shooting, 3.2inch screen, Full HD video, top LCD, 61-point AF, weather sealing, and will be available for £2999 body only. 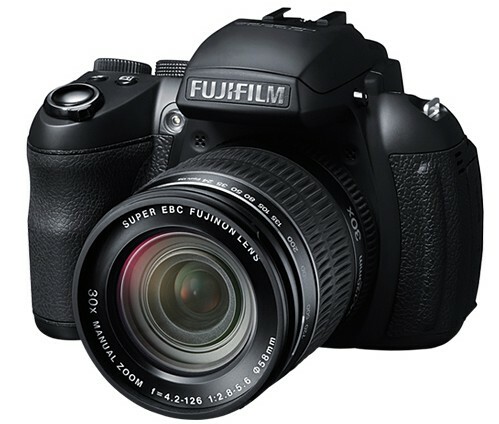 ePHOTOzine has reviewed the new Fujifilm FinePix HS30 EXR – it’s a 30x optical zoom lens ultra zoom / bridge camera with manual controls, RAW support, tilting 3inch screen, lithium ion battery, high speed shooting, Full HD video, 16 megapixel sensor and SLR styling.